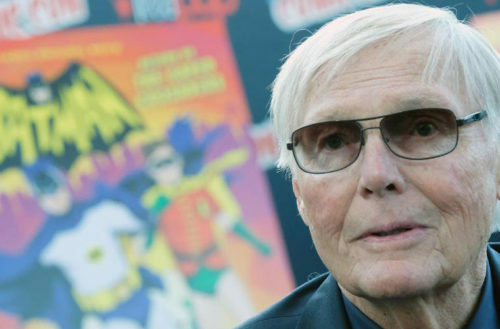 American actor Adam West, most famous for playing the comic book hero Batman in the kitschy ‘60s TV series of the same name, recently died of leukemia in Los Angeles. He was 88. Early into his life, the superhero actor (whose birth name was William West Anderson) got a literature degree with a minor in psychology and was drafted into the U.S. Army. He then moved to Hawaii to start his acting career and changed his stage name to Adam West because he liked its sound. Before becoming Batman, he guest-starred in a number of TV westerns and dramas and played a James Bond-like spy character, Captain Q, in a commercial for Nestle Quik. After seeing this commercial, Batman producer William Dozier chose West for the show’s lead role. The Batman TV series was known for its camp style, upbeat music, pop-art aesthetics and cartoonish villains like Catwoman (played by the iconic Julie Newmar and Eartha Kitt), the Joker, (played by possibly gay actor Cesar Romero) and featuring silly bat contraptions like the bat-phone, shark repellant bat-spray and the Batusi, the Batman version of the ‘60s era dance, the Watusi. After the show ended after a three season and 120 episode run, West reprised his Batman role in a 1972 public service announcement where Batgirl refuses to untie him from a bomb until he supports equal pay for women. West was reportedly disappointed that he wasn’t asked to appear in any of the subsequent Batman movies made during the ’90s and early 2000s. He also reportedly did not like the films darker takes on The Caped Crusader. 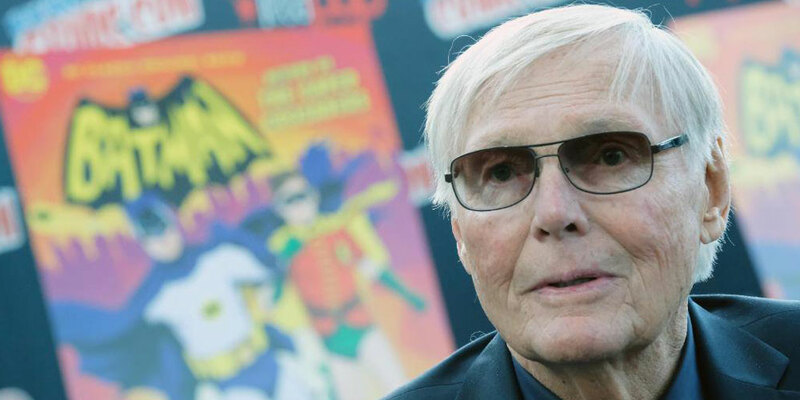 Even though West said that playing Batman actually kept him from landing other acting roles, he appeared in occasional film and TV roles throughout the ‘70s and ‘80s. He voiced characters in various animated version of Batman and played himself in the satirical 1999 black comedy Drop Dead Gorgeous. In 2000, West began doing voice acting for the “Family Guy” as Adam West, mayor of Quahog, Rhode Island. He has also done voice acting for other cartoon shows and made public appearances capitalizing off of his Bat-fame.